When the sun goes down, Panama City Beach lights up. There are lots of choices for after-dark entertainment including dance clubs, restaurants, wine bars, jazz venues, karaoke, and tiki lounges. Perfect place for breakfast, brunch or lunch. Expect to wait for a table but the delay will be enjoyable with offerings of coffee and oatmeal raisin cookies. This place is known for having one of the best breakfasts in Panama City Beach, and the French toast and omelets are crowd pleasers. Be sure to buy some fresh baked cookies for the ride home. Fresh Apalachicola oysters on the half shell and steamed crab dinners are just a few of Bill’s Bayou specialties. Like they say at Bill’s, “Don’t worry, be crabby”. Located on West Bay, this local favorite is off the beaten path but well worth the journey. Seafood, served fried or grilled, is the star at Boon Docks. Shop the Pickle’s Gift Shop for that one-of-a-kind souvenir or grab a cold one at the Fish Tales Bar. Treat yourself to a decadent Sno-Ball or Beignet at this local institution. Relocating to the area after Hurricane Katrina, David missed the tastes of home. But now, PCB has it’s own little piece of the Big Easy. David’s offers great Sno-Ball flavors like peach, mango, tiger blood, spearmint and nectar. They also offer sandwiches. The shrimp Po Boy is so good that you’ll think you’re in the French Quarter. If you’re craving oysters and a cold beer, this is a good choice. The seafood baked oysters with Parmesan cheese scream flavor which is why they are highly recommended. Rustic food truck located next to Mr. Surf’s Surf Shop with delicious food that’s highly notable. The food is fresh and fast–just right when you’re in the mood for a quick meal. 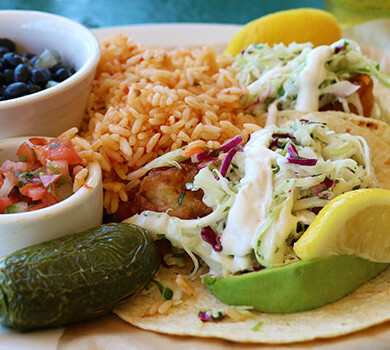 Their fish and shrimp tacos are definitely worth the visit. This elegant, fine dining restaurant is perfect for a romantic meal. Request a table on the patio under the tree and sparkle lights. Firefly is known for the best steak and seafood in town. And might I add, the crab soup won’t disappoint. Named after the owner’s little girl, this groovy, gourmet sandwich shop is a great place to go if you’re looking for a fresh, healthy bite. Liza’s menu includes house-made soups and lots of salads and sandwiches with names like the Hippy Chick and Big Apple Turkey. Don’t miss out on their weekend brunch – a great time awaits you. 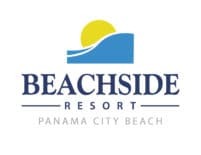 Margaritaville Panama City, designed to imitate the beach hangouts that once populated the Gulf Coast, is located in Pier Park, the entertainment and shopping complex on the beach. It has upper and lower decks overlooking the Gulf, good food, generous drinks and fun beach party music. After dinner, the restaurant transitions into a nightclub with dancing and live music. If you’re craving an after-dinner treat, stop by Pink Pelican, located in the Edgewater Shopping Center. This local gem was voted the 2nd best ice cream place in America by Trip Advisor for reasons like their enormous ice cream scoops and diverse selection of flavors. It has a fun 50’s style décor to give you that true “ice cream parlor” feel. The Travel Channel featured Pompano Joe’s as the ultimate beach snack shack and one of the world’s best beach restaurants. The locals love this upscale restaurant which makes it is a good idea to make a reservation. Their menu features choices ranging from seafood to prime rib and chicken. The grilled Day Boat Red Snapper is a popular choice. Enjoy cocktails by the piano bar while you admire Saltwater’s 25,000 gallon saltwater aquarium. Salty Sue’s was opened by the owners of David’s BBQ after David’s was destroyed by a fire. Now, Sue’s is widely popular for great oysters, steaks, seafood and BBQ. Be sure to take a picture with the pig (the only thing remaining from the original restaurant) and try the wings — they’re to die for. Schooner’s is the last local beach club located on the Gulf front. It has great burgers and awesome music. Perfect place to eat, enjoy a sunset and dance the night away. The Sunnyside Grill is a local favorite for breakfast located right across the street from the Beachside Resort. Don’t be fooled by the grill’s pink exterior. Once you’re inside both your stomach and your wallet will be glad you wandered in. Try the Prime Rib Omelet for breakfast or the classic burger for lunch.